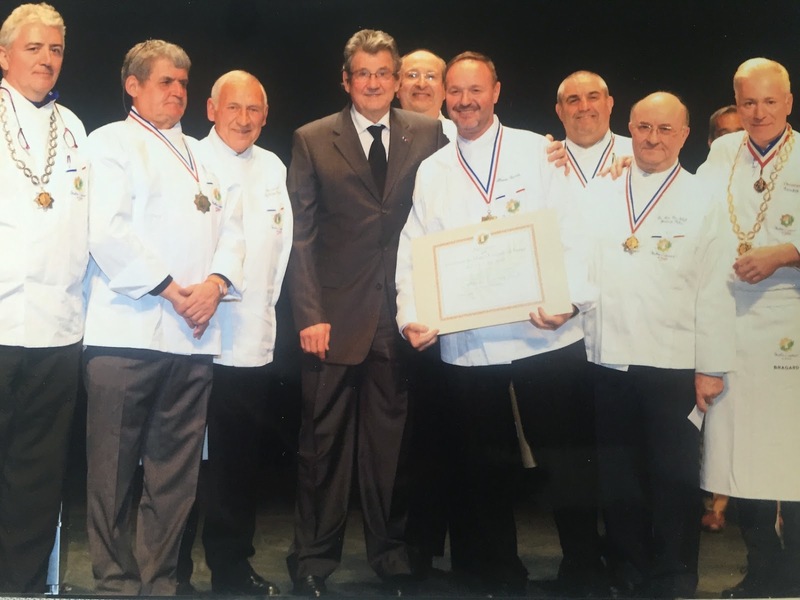 Congratulations to Executive chef Cyrille Soenen of Resorts World Manila’s (RWM) Impressions fine dining French restaurant, recognized and honored by the Maîtres Cuisiniers de France—the most envied and exclusive title that chefs around the world aspire for. 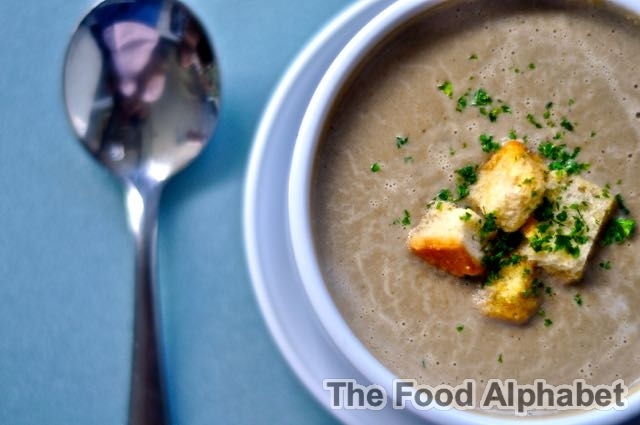 Soenen is the first and only chef in the Philippines to be accorded with this honor. Starbucks Relief Mugs now available in the Philippines! The Starbucks Relief Mug is the newest addition to the Collector Series City Mug. 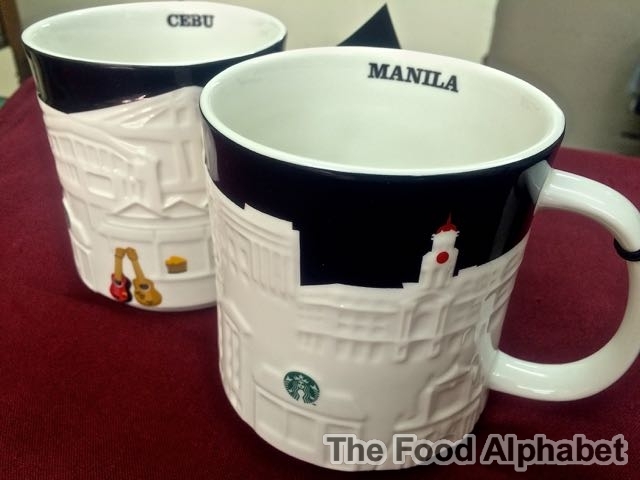 This limited edition series features Manila and Cebu in a specially sculptured mug. The term relief comes from the Latin verb ‘relevo’ which means to raise. Relief is a sculptural technique wherein the shapes carved on a surface stands out from the background. 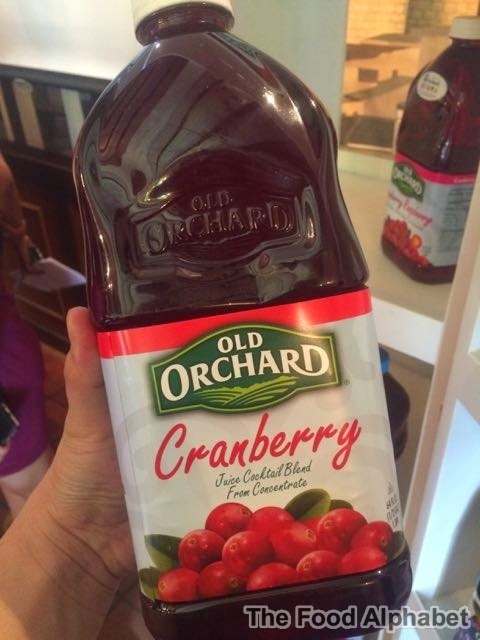 Get your daily fill of 100% Old Orchard Cranberry Juice! You'd be surprised what benefits they have for your health and your body. Admittedly I'm a soda addict, yeah I know it's bad, and somehow I find it really hard to cut on it, well I try, but still my efforts aren't really paying off. But today I know I can do something about it. I'm trying to cut down on my soda intake and concentrating on other choices like fruit juices and the basic element water, but let's start learning more about what cranberry juice can do for us. What’s in every serving of cranberry juice? Each eight-ounce serving of 100% Old Orchard Cranberry Juice counts as two servings of fruit. Did you know that the American Cancer Society recommends that you eat five servings of fruits and vegetables each day? Old Orchard 100% Juices can help you meet your “Five-A-Day” goal. Apart from getting our daily fruit intake requirement, Cranberry Juice helps prevent kidney disorder. Kidney failure is the 9th leading cause of death among Filipinos. One Filipino develops chronic renal failure every hour and there is more than 14,000 Filipino patients undergoing dialysis yearly. An Easter Egg Hunt Celebration at Vikings! 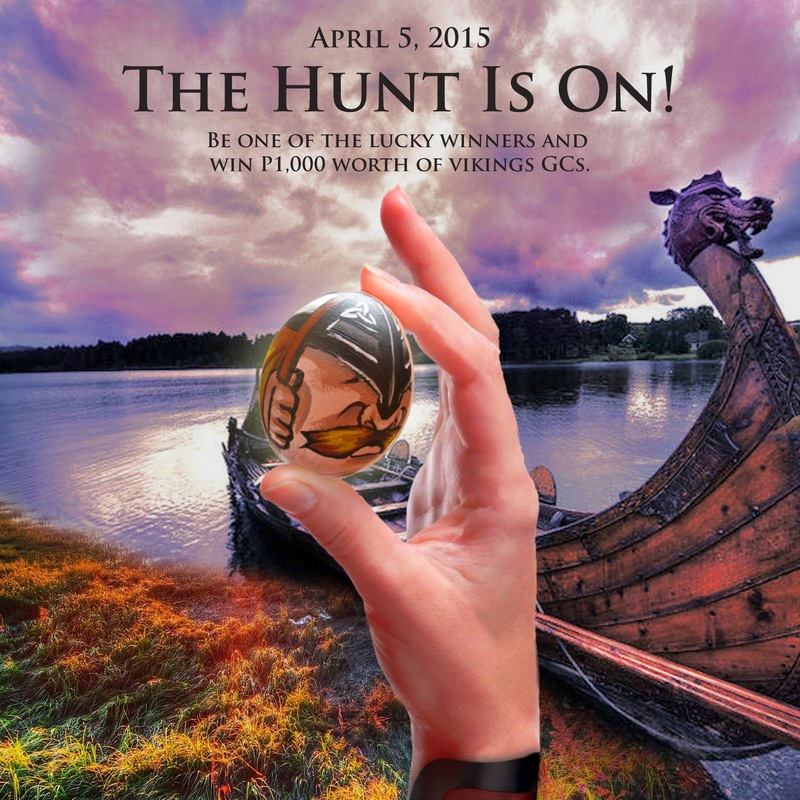 Celebrate Easter Sunday this coming April 5th with Vikings and get a chance to win P1,000 worth of Vikings Gift Certificates by finding the lucky Vikings Egg! Be one of the 8 lucky winners this Easter Sunday! 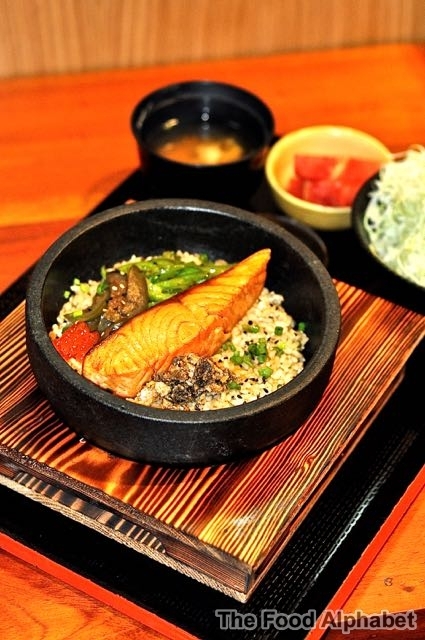 Delight to the goodness of Yabu's Don Series! It's the Dawn of the Dons! Presenting Yabu's Master Class Creations! Yabu Don Series! Yabu Philippines, is perhaps one of the best Katsu places in the metro, why say so? Well, with so much new restaurants opening in town as well as revisiting my favorites, it has been very seldom that I have visited Yabu, and tonight they certainly proved to me, that indeed things are still looking up and they are better than ever. I feel so lucky to be one of a few people to have a taste of Yabu's new offerings before they were offered to the public, excitement filled the air as they brought to us a masterful creation of epic taste awesomeness! Serenitea Davao opens to great tea expectations! Yes our favorite Milk tea place Serenitea just recently opened their newest franchise in the Crown Jewel of Mindanao. Serenitea looks to further cement their place as the country’s leading homegrown milk tea brand. 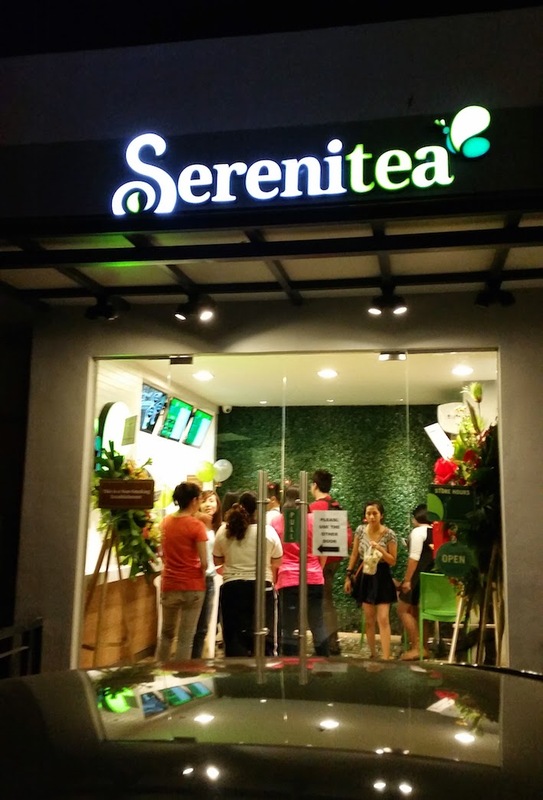 One of the forerunners of the milk tea craze in the Philippines, Serenitea held the grand opening of their second branch outside of Manila last month, drawing an excited crowd with their signature Jumbo Cup promo. It is with a heavy heart that I announce this to everyone, as Nomama, one of our treasured and most creative Ramen places is closing down permanently. 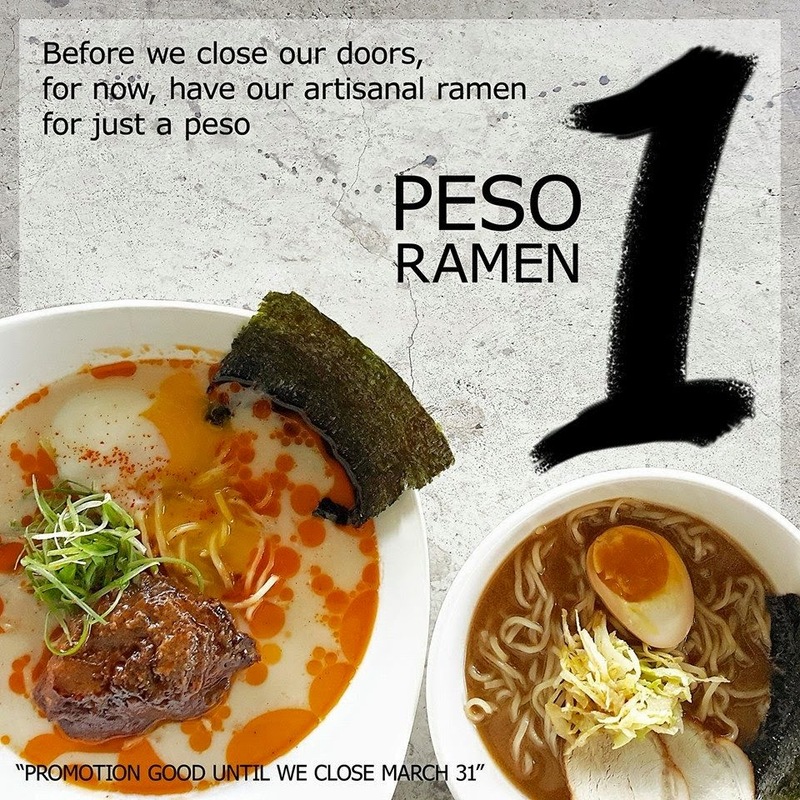 And to say to thank you to everyone who has supported Nomama they want to give you one token before their doors close this March 31 at Capitol Commons. 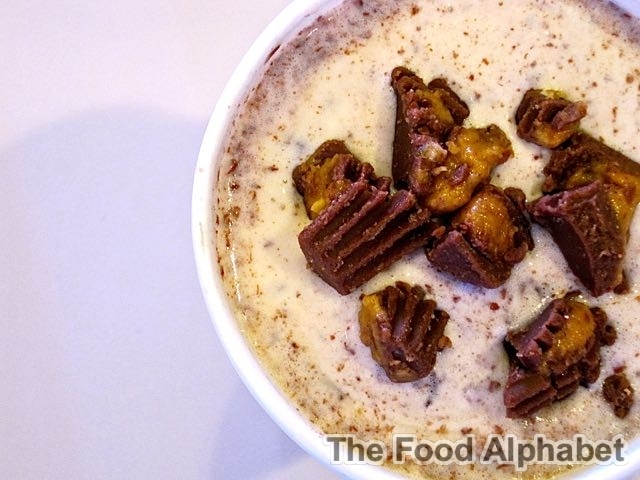 Order a regular priced bowl and get the junior bowl for just 1 Peso! Monday to Friday only, call 6318159 for reservations. This offer is on from today until March 31, 2015. Acacia Hotel Manila, located south of Manila, in the bustling streets of Alabang, a fairly new hotel property in the south, is one that I am most interestingly excited about, other than being centrally located in the fast growing commercial and business district of Filinvest Corporate City, Alabang, they boast of outstanding service and great Filipino hospitality that reflects in everything that they deliver. But most of all, they have a bed mattress I would literally want to bring to my home. Why? 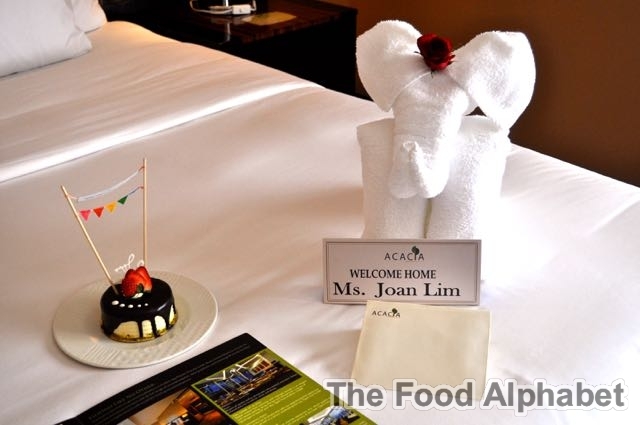 Find out all about my fantastic staycation with The KTG and a birthday celebration of Ms. Jane of http://www.sugargospice.com/, the sister that I never had, at Acacia Hotel, and get to know what I have been missing for the past few weeks. 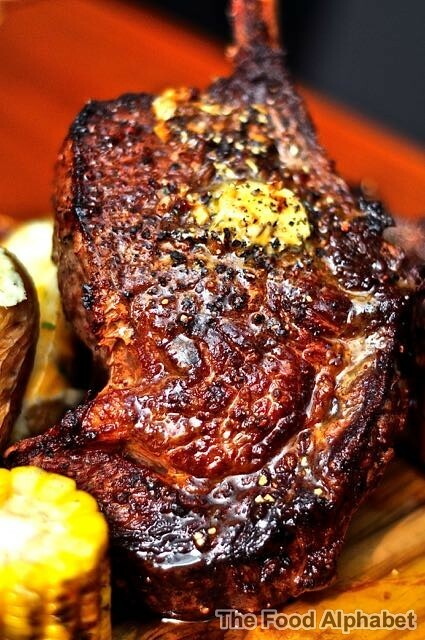 A new dining destination is destined to make waves in the Manila food scene... from our friends who have forever changed the way we enjoy buffets, Vikings! 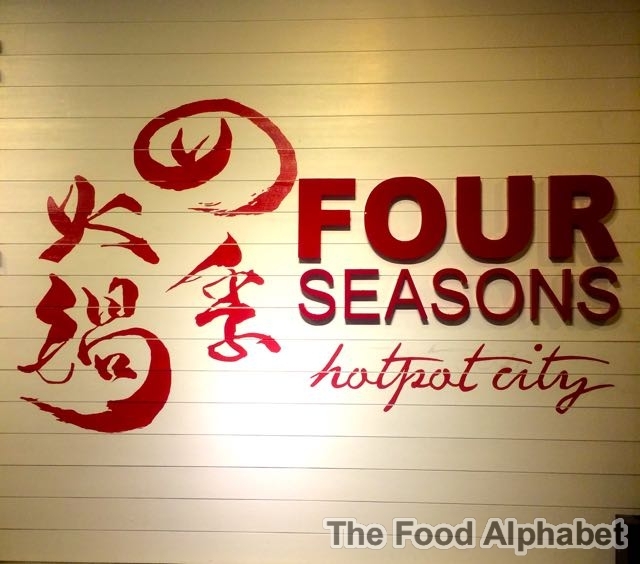 brings to us Four Seasons Hotpot City, now you'll get to enjoy eating your Shabu-Shabu Hotpot in a whole new level! Come dine with us and let's see what Torch Restaurant has for us to heat up our palettes. Happy 40th Shakey's!!! P40 Thin Crust Pizzas for all SuperCard Holders! 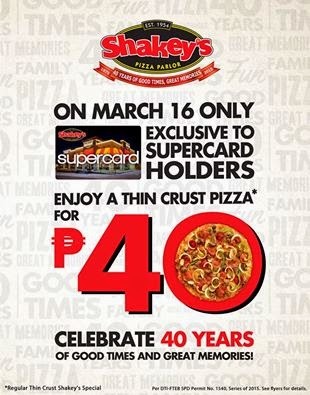 P40.00 Thin Crust Pizzas on the 40th Anniversary of Shakey's! Exclusive to all Supercard holders happening only on March 16, 2015. Promo is available for Dine-in only! Promo offer available to all Shakey's stores nationwide except delivery stores. Unless you have been on another planet for the past few weeks, then you should know that Mc Donald's is celebrating National Breakfast Day on March 9, 2015!! 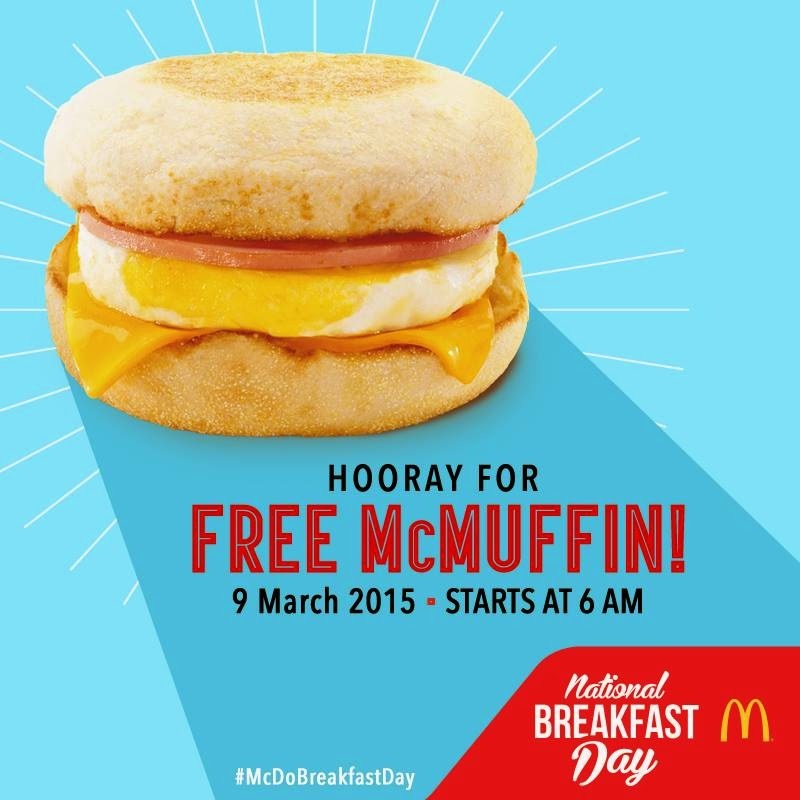 And to celebrate that wonderful day, they are giving away FREE 1,000 McMuffins per store nationwide!!! Starts 6 am on March 9, 2015! Say ‪#‎HoorayForToday‬ because it’s ‪#‎McDoBreakfastDay‬! 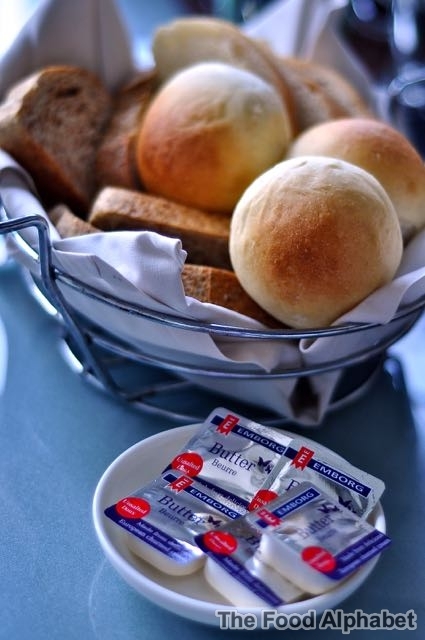 Click HERE to find out what branches will be giving away those McMuffins! Jollibee brings us the coolest treats this hot summer with Reese's Mix-Ins and Cookies and Cream Shake. And yes it is hot! Yup summer is definitely upon us, you can already see the mercury rising with longer days and shorter nights, but what's stopping us from enjoying the great summer heat! Let's embrace it with all our heart, even though this year wouldn't be the same with me and wifey staying mostly home for the summer season, still we both get to have our share of the great summer outdoors. Thank you Jollibee! Many have wanted this for the longest time and thank you they finally came true! 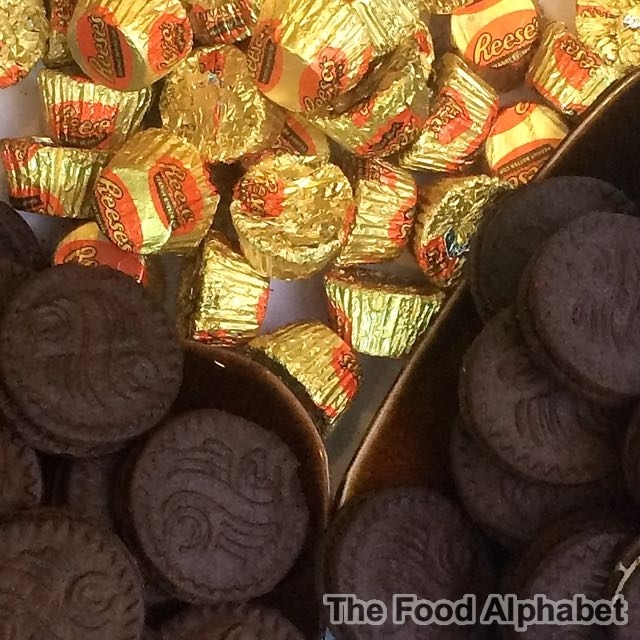 Yup, they are partnering with Reese's! Your favorite Reese's mixed with Jollibee's Mix-Ins comes the most exciting summer dessert treat yet! Design My Vikings Tee! 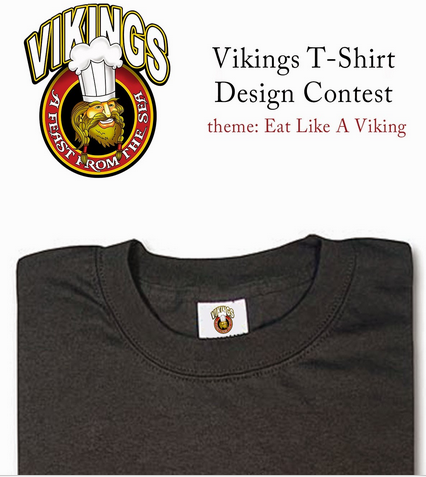 A Vikings T-Shirt Design Contest! Be the most creative Viking and win!